Have yu ever wondered how the largest restaurants in American stack up on social networks? This recent infographic from QSRweb.com shares a glimpse into how your favorite fast food spots are fairing. While the infographic provides insight into likes, fans, and followers, it would be great to see what sort of engagement strategy these companies have, or how they respond to feedback (good and bad). On August 29th Google announced that it is in the process of integrating Google+ with Google Apps. The business application for this change may come sooner than you think. It appears that Google is now integrating Hangouts with calendars, e-mail, and documents. Perhaps companies will now have a one stop shop for video conferencing and document sharing? It may still be too early to tell, but we have our fingers crossed. Via The New York Times. The world of content marketing is full of mystery and intrigue with companies leveraging every possible resource to achieve a competitive advantage. In the fast changing world of digital marketing, no resource is more valued than the coveted “Content Marketing Secret Agent”. These covert content operatives perform their customer segmentation, persona development and editorial planning in the dead of night while most marketers are asleep, snug in their beds. While the average content marketer dreams of page views and search engine rankings, Content Marketing Secret Agents are mapping the customer journey, crafting meaningful messages that pull prospects from awareness to measurable conversions. Few have been able to crack the code of this elite group but if anyone could, it’s the content marketing smarties at TopRank Online Marketing. We’ve collected some of the best tips just for you. 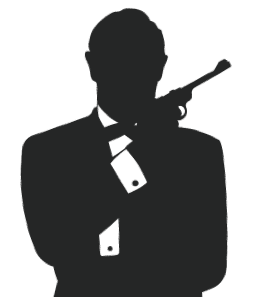 In order for Content Marketing Secret Agents to work effectively, they need more than tactical skills. They need to see the bigger picture and the context for how and why things need to happen. Industry trends come and go but the need for brands to connect with customers will never go away. Special operatives are necessary for the kinds of activities necessary for specific missions, like those requiring certain kinds of content like video for better engagement. Today we are fortunate to have Content Marketing Secret Agent Todd Wheatland, Vice President of Marketing and Thought Leadership at Kelly Services, help us navigate the strategic to the tactical and goals to measurement of content marketing. Within the Content Marketing Secret Agent community there are a number of operatives that really go above and beyond in their efforts to make an impact in their work. I’m not talking about double agents or moonlighting mercenaries, but people who can see the full spectrum of impact from great content marketing. From concept and creative to strategy and tactics to measurement and conversions, a well-rounded perspective towards content marketing will undoubtedly harvest an abundance of useful secrets. That’s what we have with Robert Rose, Chief Strategist for the Content Marketing Institute and Founder and Chief Troublemaker at Big Blue Moose. In this interview he covers content marketing goals, the role of search and measurement as well as some great examples of how companies are integrating content marketing with other channels. You know, once a great secret spreads, you get all kinds of “wannabe” corporate marketing types creating what they think is great content. And you know what? Most corporate content is flat out boring. It’s all about “me me me”. The best Content Marketing secret agents understand that it’s not all about the brand, it’s about what the customer wants that matters most. There’s a lot of power in words and even more in secret words. This week we’ve been leaking content marketing secrets all over the web and hopefully you’ve been paying attention. In particular, you’ll want to tune in to the no-nonsense approach from this special agent of content marketing, Jason Falls, the CEO of Social Media Explorer. Jason has been a vocal advocate of practical online marketing and PR for years and his experience with blogging and blog consulting may very well be the one thing you need to experience to justify your own secret mission to Columbus next week for Content Marketing World. For a sneak peek at Jason’s business blogging and content marketing secrets, check out the following interview. They say three’s a charm and that’s certainly true with the third installment of our series investigating the top content marketing “secret agents” that will be presenting at Content Marketing World next week. “Mums the word” might be tricky with this one, since the data is coming from secret agent Michael Brenner, Senior Director of Integrated Marketing and Content Strategy at SAP. 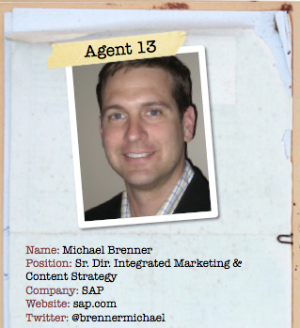 Michael is also the author of B2B Marketing Insider, the co-founder of Business 2 Community and the founding editor for the SAP Business Innovation blog. This highly decorated content marketing secret agent will now share his take on all the content marketing hype, his session on one of the most pressing issues facing many marketing organizations “Content Marketing: How to Transform Your Organization/Culture for Content Success”, top content marketing tools and his tips on managing long term creation of quality content. 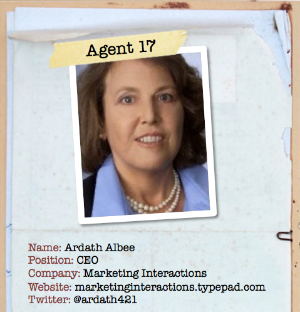 Here’s the second in our series of Content Marketing World interviews. This time we’ve uncovered a secret stash of worldly wisdom from one of the most sought after global content marketing experts, Pam Didner, Global Integrated Marketing Manager at Intel. Pam will be presenting at Content Marketing World on managing global, multi-lingual content on a large scale that will be a must see session for anyone involved with content marketing internationally. Let’s dive right into our interview with Pam where she shares her secrets on the evolution of content marketing, where it fits in the B2B marketing mix, her session on global content management and how large enterprise organizations can scale long term content creation. Enjoy! But shhhhh, remember: It’s a secret. TopRank’s Online Marketing Blog has partnered with Joe Pulizzi and the upcoming Content Marketing World conference to help promote the event and sessions by doing a series of interviews and creating an eBook: “The Secrets of Content Marketing and the Undercover Agents Who Shared Them”. Successful content marketing that works efficiently, effectively and that can scale is a very big secret for a lot of companies. This series of interview posts and the eBook will shine a light on what some of the top brands (Intel, Kraft, SAS, Cisco, Ricoh, Kelly Services, SAP and more) and thought leaders (Jason Falls, Joe Pulizzi, Robert Rose, Michael Stelzner, Ardath Albee, Ann Handley, Jim Kukral, Mark Schaefer and more) have up their sleeves (or on a microdot). 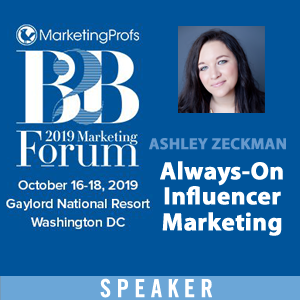 Note from Ashley: Please welcome this guest post from Shawna Kenyon, an Associate Account Manager with TopRank Online Marketing. As I settle in for my first Social Media Breakfast #SMBMSP48 at 514 Studios, I survey the area and see some familiar faces and others less familiar. 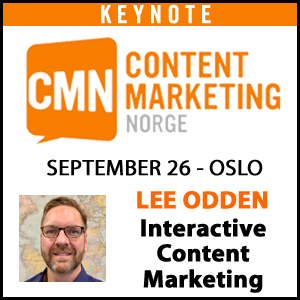 As the caffeine starts to kick in, the stage is set and the crowd welcomes presenter Lee Odden. 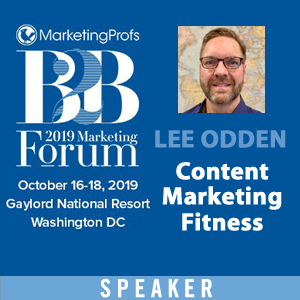 As an Associate Account Manager at TopRank Online Marketing, this isn’t the first time I have heard Lee speak about social media as it relates to content strategy, but I always learn something new each time.